But, SUN ‘n FUN in Lakeland, Florida from April 21 – 26 is much more than just an airshow to all of the aviation brands that plan on exhibiting their awesome products this upcoming week. Yes, this is the best time for brands to capture, grow, and engage with the aviation community, those who love gadgets and new things. These aviation lovers seem to naturally come out of the woodwork on social media and even in person as the week nears. This survival guide that I have laid out below is focused to help those brands that are exhibiting their products at SUN ‘n FUN this year. Is your brand cutting costs this year and staying at home? Have no fear, your brand can certainly use these strategies to piggyback off of this event from your headquarters too. Social media has been around for a long time, and likely your brand has used it to some degree during previous SUN ‘n FUN events. I am going to guess you felt like you weren’t sure if it was being as effective for your company as you figured it could be. Organic traffic and sales conversions are hard to monitor. However, we can monitor this by simply offering discounts, tracking with analytics and special links like Google Shortlinks, freebies, or other incentives that can be the criteria for marking a sale at SUN ‘n FUN as a social media generated acquisition. If you are selling online, have them submit a coupon code. Not looking to give ANYTHING away this week? That’s fine, have your sales team ask your customers how they heard about you. Keep these numbers every day of the event and see how your social media efforts are turning out. Scared? Too bad, I command you to do it! Here is a video to get you up-to-speed on how to use Periscope this week! Luckily aviation is such a passionate industry that everyone knows it is SUN ‘n FUN time. This means not only do they not mind seeing your brand tweet all day long, they actually want you to. 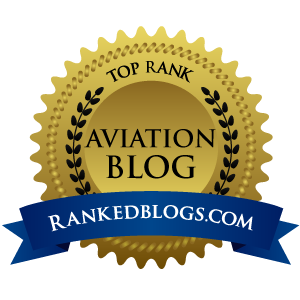 This is great because it means you have an open forum to serve content to users multiple times a day and thus increasing your exposure at a critical week in the aviation year. If you are at SUN ‘n FUN, and you are tweeting about it, these two aspects instantly combine and add another layer of social proof to your brand by your consumers. Services like Hootsuite and TweetDeck will get you through this week. You can set up a command center dashboard to have a constant live feed of everyone who is talking about SUN ‘n FUN (#snf15). If your social media manager is smart, they will cross reference this and follow other tags pertaining to aviation and meld the two together to have the most potential for finding conversations to jump into. This is important because during live events like this you can’t miss a beat when the beat drops. Have someone who is dedicated at looking after your brand on social media for the week, don’t miss out on this opportunity to be a part of as many conversations as possible with potential customers. Always remember, this event is a key part of each participant’s year. I even have trouble sleeping a week in advance because I am so excited. This time before the arrival of the event should be spent showing your followers the setup process, your flights to Lakeland, etc…This is what people want to see like I mentioned earlier the more conversation the better. Be genuine and personable, that's all people want. Perfect execution goes to Redbird FlightSims. In contrast, on the 26th when everyone is leaving the event and sad to see it move under the horizon until next year, this is when we enter the “Cooldown” portion of your strategy. 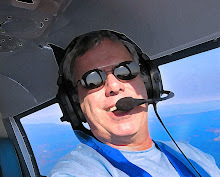 I am an aviation branding and advertising consultant, you can find where this article first appeared on my website www.IanHoyt.com. 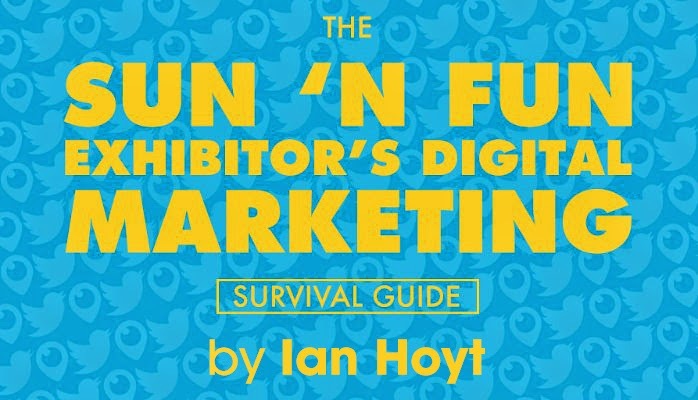 Reach out to me on Twitter @IanHoyt, let's meet up at SUN ‘n FUN! Happy Landings everyone.